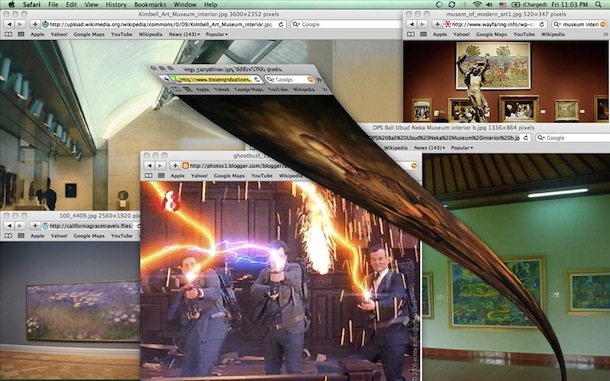 If you’re a Ghostbusters fan you’ll get a kick out of this creative use of the Genie minimization effect in Mac OS X, which was used to re-create scenes from the movie. 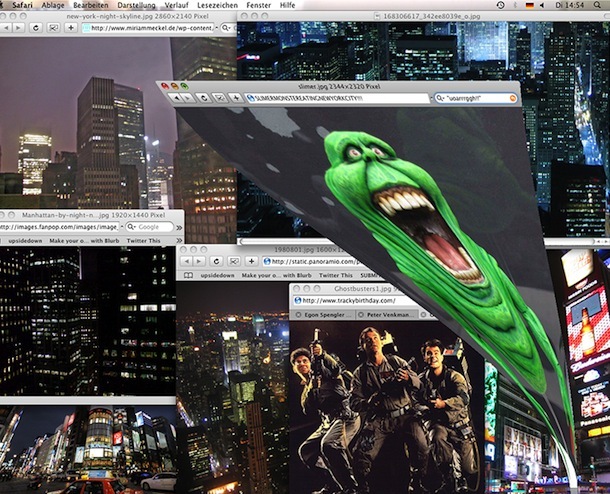 By arranging a bunch of picture windows and a strategically minimized ghost image timed with a perfect screen shot, scenes from the 80’s classic movie Ghostbusters were built on the desktop of a Mac. Sure this might be pointless outside of the high amusement factor, but it’s very amusing, and who doesn’t like Ghostbusters anyway? Speaking of Ghostbusters, Apple made a Ghostbusters spoof called Blue Busters in the 1980’s for a sales video. Seriously. Watch it. This was found on Nerdist and @MattMira on Twitter. If you want to try to do it yourself, you may want to take advantage of this goofy bug which lets you freeze animations mid-draw. Best of luck, and do share with us the results.